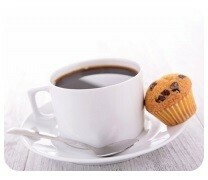 You are invited to join us at our Friday networking in the breakout area from 10:00 – 10:45 am. You can expect a friendly and relaxed atmosphere, with complimentary coffee, tea and biscuits. This is a great way to meet people from other businesses in the Centre developing business contacts, relationships and becoming part of the community at the Centre.